November 21, 2013 December 17, 2013 - by আলী রীয়াজ - 2 Comments. 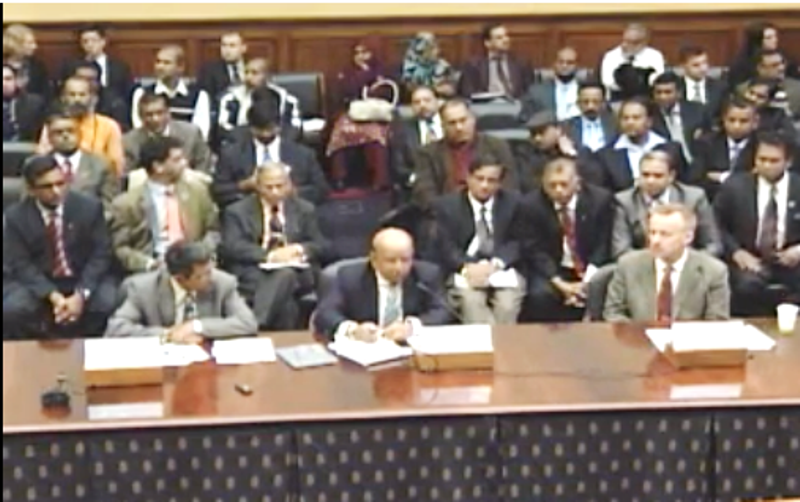 Share the post "Congressional Testimony: “Bangladesh in Turmoil: A Nation on the Brink?”"
Chairman Chabot, Ranking Member Faleomavagea and Members of the Committee, thank you for the invitation to discuss the political situation in Bangladesh. Bangladeshi politics is once again at the crossroads. The constitution requires an election to be held by 24 January 2014, but there is no agreement between the opposition and the ruling parties as to who will oversee the election. The ruling Awami League, members of the coalition, and the Prime Minister Sheikh Hasina insist that there can be no alternative to an interim government of elected parliament members as stipulated in the constitution, and by implication, a government headed by the incumbent PM. The leader of the opposition Khaleda Zia, on the other hand, threatens to boycott the election if her demand that a non-partisan neutral caretaker be installed beforehand is not met. The point of contention is whether the government should comprise political leaders or non-partisan individuals. The Opposition alliance led by the BNP insists that if the government is manned by politicians it will influence the election results in favor of the incumbent. The PM, who previously maintained that the interim government would be formed only with her current coalition partners, offered the opposition parties an opportunity to join an all-party government to oversee the election. Accordingly new members have been inducted in the cabinet. However, the issue of the head of the interim government remained unspecified. The Bangladesh Nationalist Party (BNP)-led coalition rejected the offer. Calls from the US Secretary of State John Kerry, the UN Secretary General Ban Ki Moon, leaders of the European Union (EU) and many others to these leaders to engage in a dialogue have fallen on deaf ears. A 37-minute telephone ‘conversation’ between the two leaders in late October, an audio recording of which was ‘obtained’ by the press, was revealed to be little more than a litany of charges and counter-charges; no agreement was reached on any issue. The situation is reminiscent of 1996 when the position of the parties was reversed; at that time, the AL was demanding a neutral caretaker government while the ruling BNP was maintaining that no provision for such a measure had been made in the constitution. In recent months the situation has taken a violent turn as the opposition organized several general strikes which led to death and destruction and has threatened more in the coming days. The human cost of the violence is rising rapidly. With time about to run out, there is very little prospect of any compromise. That means that an inclusive and timely election in Bangladesh looks increasingly unlikely. The situation begs a few questions: How did Bangladesh arrive here? Why is this election important? What are the future trajectories? What impacts will the current political impasse have on regional and international political dynamics, particularly on the relationship with the USA? What the USA and the international community can do? How did the nation arrive here? The immediate reason for the current political imbroglio can be traced back to the 15th amendment of the constitution. The amendment, which passed in June 2011, removed a system called the caretaker government (CTG) provision that had ensured three fair elections since 1996. The ruling party provided two justifications for its decision to abolish the CTG system. First, the verdict of the Supreme Court that the CTG system is ‘unconstitutional’, and the second that the immediate past CTG overstayed and pursued a political agenda. Before examining the justifications provided by the government it is necessary to recall what prompted the founding of the CTG system in the first place and what led to the annulment. Under intense pressure from the opposition led by the Awami League (and its allies the Jatiya Party (JP) and the Jamaat-i-Islami (JI)), violent street agitations between 1994 and early 1996 and a sham election in February 1996, then BNP regime passed the thirteenth amendment of the constitution in haste on 26 March. The amendment inserted proviso for holding the election under an 11-member neutral caretaker government (CTG), as per the demand of the opposition. A parliament, which was elected through an election boycotted by all political parties and legitimacy of which was questionable, carried this out without any input from the opposition parties, civil society, higher courts or constitutional experts. The CTG system was flawed at various levels. For example, it was vague about the tenure of the interim government; involved the former Chief Justice and by extension opened the door for blatant politicization of the judiciary and therefore essentially blurred the separation between judiciary and executive; and created an opportunity wherein the power of the Prime Minister and the President can be concentrated in one individual. The opposition hailed this as a victory. It brought a temporary end to the bloodshed, but sowed a number of problems. However, the fundamental reasons for introduction of the system were the absence of trust among the political parties, and the absence of strong institutions that can be trusted to hold an acceptable election. In 2001, the Bangladesh Nationalist Party (BNP), in its second stint in power since 1991, took a step to ensure that it can manipulate the future caretaker government to its advantage. It passed an amendment to the constitution. The fourteenth amendment of the constitution, passed on 16 May 2004, raised the retirement age of Supreme Court Judges by two years with an eye on the next head of the caretaker government. Once again, the ruling party decided to change the constitution without any consultations – either with the opposition party or the members of the civil society. The super majority of the ruling party was abused. The opposition withdrew all its candidates and called for a boycott of the election. Against this background the military stepped in to take charge on 11 January 2007, compelled the President to declare a state of emergency and appointed a new cabinet with the former head of the central bank as its chief. The caretaker government of Iazuddin Ahmed between 29 October 2006 and 11 January 2007, made a mockery of a system which until then, despite its limitations, had served the country well. The military-backed caretaker government that assumed power on 12 January 2007 under the state of emergency had both legal and moral legitimacy, but had neither a defined tenure nor a clear agenda. The primary responsibility was to create an environment for a free and fair election in which all parties could participate. This required reforming institutions such as the Election Commission (EC), the Anti-Corruption Commission (ACC) and bring changes to the acrimonious political culture. An immediate task was to prepare an error-free voter roll. While some expressed apprehension that a new phase of long military rule had begun, others expected that this would be the opportunity to begin a new era of accountable politics. The government embarked on various tasks – from an anti-corruption drive to exiling two former prime ministers (popularly known as ‘minus-two’) to a half-hearted effort to establish a ‘King’s party’. It mistook the warm welcome extended to it by citizens at large as an open mandate for an indefinite period. The actions taken, while many were necessary and well meaning, soon made many suspicious of the regime’s intent and provided an opportunity for political activists to mobilize. This led to the decision to arrange an election and hand over power to an elected political regime. The regime’s legacy, if any remains, is an error-free voters list with photos enabling an acceptable election; but it is also is a reminder that an overreach – an effort to do so many things in a short time that leaves you with few accomplishments, – may create more problems in the long run. The elections held in late 2008 delivered a four-fifths majority to the AL led alliance and marked the transition from an unelected government to an elected popular government. The BNP experienced its worst electoral performance ever. The hope was that the two-year hiatus, the growing demand for political reform and democratization of political parties, the necessity for continued efforts against corruption and a tolerant democratic culture would be the lessons learned by the politicians. That it would herald a new era of Bangladeshi politics was the expectation across the society. But the euphoria did not last long. Hope was replaced by despair. The belligerent posturing returned and so did the old practices, the long absences of the opposition party from the parliament is a case in point. It was in this context that the ruling party decided to amend the constitution. The AL, with its super majority, began the process in July 2010. Although it was apparently due to the annulment of the fifth amendment of the constitution by the court that a parliamentary committee was formed to propose amendments to update the constitution, the committee soon became the vehicle for making drastic changes in the constitution. A fifteen member constitution amendment parliamentary committee was appointed in July 2010, in which the BNP declined to participate. A bill was placed before parliament on 29 June 2011 and passed the next day. With the assent of the President, the bill became law. The 15th amendment of the constitution removed the CTG system and stipulated that the parliamentary election will be held within 90 days prior to the completion of the tenure (or within 90 days of the dissolution of parliament, if the parliament is dissolved before completion of its tenure). Although it is not specifically referenced the cabinet during the pre-election and election-time, the assumption is that the incumbents in cabinet will continue to serve up to the time of the election, and that the parliament will continue to function. Since then the PM stated that there will be no sessions of t parliament in the 90 days prior to the poll, but she later reneged and the parliament continued to perform. The other aspect of the amendment is that it stipulates an election will be held while the current parliament will still remain effective. Which is contrary to the level playing field necessary for ensuring an acceptable election. Two arguments were made by the ruling party for their decision to abandon the CTG system: a court verdict in May 2011, and the overreach of the CTG during 2007-08. Both deserve examination. The legal basis of the annulment of the CTG system, as argued by the ruling party, is the verdict of the Supreme Court on 10 May 2011. On that day the court issued a summary verdict. The summary stated that “The Constitution (Thirteenth Amendment) Act, 1996 (Act 1 of 1996) is prospectively declared void and ultra vires the Constitution.” But it also stated that, “The election to the Tenth and the Eleventh Parliament may be held under the provisions of the above mentioned Thirteenth Amendment.” The court also asked the parliament to amend the constitution to make sure that former chief justices or any other Supreme Court judges are not chosen as heads of caretaker governments in case the system is kept for another two parliamentary elections. During the hearing the court heard opinions of eight amici curiae (friends of the court) of whom seven supported the continuation of the system. Despite the enormous significance of the verdict and its implication, unfortunately, the court took 14 months to deliver the full text of the verdict – it was signed and delivered on 16 September 2012. These observations and the grounds of the dissenting opinions are important and have serious consequences. But it took 14 months to be completed and made public, and by then the parliament had already annulled the system and the downward spiral of Bangladeshi politics had already begun. We will never know whether the situation would have been different if the full verdict was released earlier but we know for sure that the government neither waited for the full verdict nor did it adhere to all parts of the short verdict. The second argument that the CTG overreached its mandate is well-founded. Although the CTG did not violate the law by ruling the country for two years, it made policies that were not within the intended purview of a caretaker regime. One can argue that necessity prompted the CTG to overstay, but it remains contentious from the political parties’ point of view. However, the larger question is whether the annulment of the CTG reflects the decision of the parliamentary committee. The proceedings of the committee show that it had unanimously concluded that the CTG system should be maintained and that a strict limit of 90 days be imposed on its tenure. In its 27 meetings between 21 July 2010 and 29 May 2011 the committee gathered opinions from three former chief justices, ten constitutional lawyers/experts, representatives from six political parties (including the AL, which was represented by the PM), eighteen intellectuals, editors of eighteen newspapers and media, and the leadership of the sector commanders forum (an organization of the commanders of the freedom fighters of 1971). Most of them urged the committee to look into the inadequacies of the caretaker system, only a few suggested a complete abolition of the system. Accordingly, the committee formulated its recommendation on 29 May 2011 regarding Article 58(B) and 58(D). It recommended that no more than 90 days be added to 58 (B) as the tenure of the CTG. Additionally, it recommended that clause 58(D)(3) be added that forbids the CTG to sign new agreements with any foreign governments. The government will be allowed to renew any existing agreement if its term expires, but the renewal will have to be placed before the parliament for its ratification after a new parliament is elected. A day later the committee met the PM and decided to make a U-turn: Article 58 will be scrapped altogether (For details of the committee proceedings, see Badiul Alam Majumdar, ‘Which Constitution? Whose Constitution?’ Prothom Alo, 28 October 2013, p 8). A bill to that effect, the fifteenth amendment to the constitution, was placed before parliament. In the absence of the opposition, the bill was passed by a 291-1 vote; the lone dissenter was Mohammad Fazlul Azim, the only independent Member of Parliament. Was the decision made to reflect the popular mood? Available opinion surveys in this regard suggest otherwise. Four opinion surveys since 2011, commissioned by the leading Bangladeshi newspaper Prothom Alo and conducted by the international survey organization Org-Quest Research (with a sample of 5000 Bangladeshis in each cycle), is instructive in this regard. The preference for a caretaker government during the election among the respondents was 73% in 2011, 76% in 2012, 90% in April 2013 and 82% in October 2013. Daily Samakal, another Bangladeshi newspaper, conducted two surveys, in late 2011 and in late 2012. These surveys revealed that 55% and 62% respondents, respectively, contend that a fair election without a caretaker government is not possible. The opinion polls conducted by AC Nielsen for the leading English newspaper in Dhaka, the Daily Star, shows overwhelming support for the CTG: 73.9% in December 2011 and 67% in December 2012. The Daily Star – Asia Foundation Survey in October 2013 shows a 77 % support for the CTG. A report of surveys conducted by US AID, Democracy International and UK Aid show that in July 2013, 59% respondents preferred a CTG during the election while 33% preferred the incumbent government to remain in charge. The report further informs that in April 2013 approval for elections under the present government stood at 32% while under the CTG it was 68%. Drawing on the polls since December 2011, it is evident that popular support for a CTG is significantly high and that the majority of Bangladeshis continue to support the CTG as an election-time government. The upcoming election is important at both domestic and regional levels with significance for the US- Bangladesh relationship. It’s a cliché to say that an election alone is not democracy, democracy requires more than elections. However, elections are important elements of any democracy and in many ways reveal the nature and quality of democracy. In the past decades we have learned that for transitioning to and consolidation of democracy election is a critical test. Samuel Huntington suggested the “Two Turnover Test.” He argued that when a nation transitions from an “emergent democracy” to a “stable democracy,” it must undergo two democratic and peaceful turnovers to opposition and back. He said that after an emergent democracy’s first turnover, the new administration often reverts to authoritarian rule, trampling on democratic institutions and undermining the rule of law. Therefore the nation must undergo a second turnover. Only after passing the Two Turnover Test can it move to the next stage, a stable democracy. 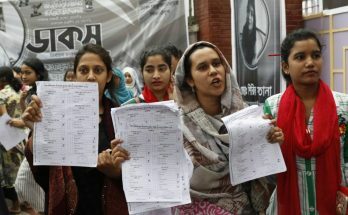 Despite four elections since the downfall of the military ruler, and alteration between the two major parties, the Bangladeshi electoral system has failed to produce a stable democracy, primarily because each regime has tried to manipulate the constitution and electoral process to return to power. Except for one occasion, each election has engendered instability and uncertainty. Incumbents have attempted to change the rules of the game in their favor. Each election came as an opportunity, the perennial optimism of the Bangladeshi citizens that the political parties will get it right this time turned out to be wrong. The alternations in power precluded a complete reversal, but nothing more. In the clientelist political culture of Bangladesh the state has remained the principal source for dispensation of patronage. The two major political parties in Bangladesh have used and abused resources in the past for personal gain, and in order to maintain the party machines and their hold over the party activists. Notwithstanding the high level of corruption, the state also provides impunity to ruling party activists. Therefore, each election becomes a ‘zero-sum’ game and all parties fight hard. Additionally, ruling parties use the state machinery for reprisals against the opposition. That makes an election a matter of existential struggle. Corruption and abuse of power make each incumbent a legitimate candidate for prosecution, but often threats of prosecution and courts and laws are used as instruments of harassment. No political party, its leaders and activists are willing to endure this suffering. Therefore, both incumbent and opposition view winning the election as their only safeguard against possible post-poll adverse situation. This can be described as ‘cost of defeat’. The ‘cost of defeat’ or the perception thereof by the parties and their activists, is greater this time around. In the past five years the society has become more polarized than ever before. The hostility between the AL and the BNP has reached new heights: the telephone conversation between the PM and the leader of the opposition provides some indications. In such a hostile environment, a defeat could expose the vanquished to the wrath of the ruling party. Additionally, in the case of the AL perhaps to the Islamists, and in the case of the BNP, perhaps to those who feel that the party has provided shelter to Islamists. The BNP has remained out of power for seven years and it is afraid that another term out of office will bring about fragmentation. The mal-governance and scale of corruption under the AL has grown and therefore, party leaders are concerned about their fate post-election. The International Crime Tribunal (ICT), established in 2010 to try those who committed crimes against t humanity during the war of independence in 1971, has widened the schism within the society. The Jamaat-i-Islami (JI) views the ICT and legal and extralegal actions against its leadership as an existential threat. The violent reactions of the Jamaat-i-Islami (JI) and the rise of the Islamist political organization named the Hefazat-i-Islam (HI) have made the secularists worried that the AL’s defeat will enhance their strength and erode the secular basis of the state. The members of the civil society who have sided with one party or the other are concerned that the authoritarian tendencies that have been institutionalized through various laws will be used against them with vengeance. Political instability has always affected the security of religious and ethnic minorities. Members of religious minorities in various places were attacked after one of the verdicts of the war crime tribunal in late February. Continued violence against members of the Hindu community for almost a week caused loss of life, and damage to homes and temples. Similar attacks have been reported in recent weeks. If the present stalemate continues and eventually an election without the participation of all takes place, minorities will become the principal target. The Opposition and the ruling party will blame each other. But it will do little to protect the minorities from opportunists and religious zealots. While the volatile political environment, violence, and breakdown of governing institutions have frequently drawn the attention of the world’s media to Bangladesh, we should not lose sight of the fact the country has also produced a development success story. Acccording to the World Bank, “Bangladesh is 1 of only 18 developing countries with an annual growth rate that has never fallen below 2 percent” World Bank, ‘The Bangladesh Conundrum,’ 2006 http://web.worldbank.org/WBSITE/EXTERNAL/EXTABOUTUS/EXTANNREP/EXTANNREP2K6/0,,contenMDK:21052781~pagePK:64168445~piPK:64168309~theSitePK:2838572,00.html). Economic growth, annually over 6% in the past decade despite the global economic downturn and the reduction in the incidence of poverty from an estimated 70% in 1971 to 31.5% in 2010, the country “has achieved rapid and spectacular improvements in many social development indicators during the last two decades or so” Wahiduddin Mahmud, “Social Development: Pathways, Surprises and Challenges”, Indian Journal of Human Development, Jan-June, 2(1): 79-92, 2008.) The decline achieved in maternal mortality (from 322 per 100,000 in 2001 to 194 in 2010) (US AID, 11 March 2011 , http://blog.usaid.gov/2011/03/bangladesh-maternal-deaths-decline-by-40-percent-in-lessthan-10-years/), in infant mortality (from 97 per thousand in 1990 to 37 in 2011), children under five years mortality rates (from 139 in 1990 to 46 in 2011), (Unicef, Bangladesh, 2013, http://www.unicef.org/infobycountry/bangladesh_bangladesh_statistics.html) and in increasing equitable access in education (Net Enrolment Rate: 98.7 percent; girls: 99.4 percent, boys: 97.2 percent), are noteworthy. According to the 2013 Human Development Report of the UNDP, between 1980 and 2012, Bangladesh’s life expectancy at birth increased 14 years, a notable achievement indeed. The dramatic decline in the Total Fertility Rate, a key component in addressing population growth, is astounding: 6.9 in 1971 to 4.4 in 1991 to 2.2 in 2010. These successes demonstrate the resilience and ingenuity of Bangladeshis. The country has offered the world a model for alleviation of poverty called microcredit. Despite adverse global trade conditions, thanks to Bangladeshi entrepreneurs and 3.6 million workers (of which 2.8 million are women), the Ready Made Garments sector has emerged as the second largest exporter of the world. Although these socio-economic achievements have been made despite poor governance, further violence and uncertainty will not only hamper progress but impose reversion. This trend in the world’s eighth most populous country, with limited natural resources, will exacerbate the schisms within the society, contribute to economic disparity and may serve as a source of radicalization in the future. To think that the adverse impacts will remain within the boundaries of the country is wishful thinking. This is particularly important because the country has already experienced a variant of Islamist militancy between 2004 and 2007 and a low intensity leftwing radicalism is present. Islamist militant groups such as Harkat-ul Jihad al Islami (HUJI), Jamaat-ul Mujahideen Bangladesh (JMB) has its genesis and ties to external groups. Regional militant groups such as Laskar-e-Tayeba (LeT) have tried and are trying to use Bangladesh as a recruitment center and launching pad for attacks within India. The country is located within an arch of insurgency from Afghanistan to Myanmar with Pakisan and India in between. 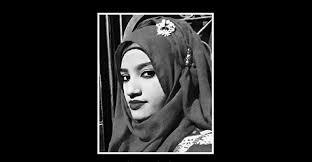 The insurgency in northeast India and growing Maoist radicalism throughout India is yet to influence Bangladeshi society, but it does not mean that it will remain so forever. Rohingya rebels continue to use the southeastern hills of Bangladesh as bases to continue their operations inside Myanmar. The Myanmar government’s complicity in the anti-Muslim pogrom is fueling discontent among Muslims in Myanmar but also among some Bangladeshis. A chaotic and violent political situation in Bangladesh will create a hospitable environment for both domestic and regional extremist groups. Understandably security concerns are playing a key role in the policies of Bangladesh’s neighbors, particularly India. The rise of militancy, the presence of some regional militant groups and the use of Bangladesh as a sanctuary by Indian insurgents in the past has caused Indian policy-makers some concerns. There has been some progress in addressing these issues in recent years. Economic cooperation between two countries has grown; but enormous potential remains untapped. Unfortunately, the Indian government has not reciprocated Bangladeshi goodwill in equal measure; failure to sign the Land Border Deal, sharing of waters of common rivers, and unabated killings on the border by Indian border guards are cases in point. India looms large in Bangladeshi foreign policy and domestic politics; it is best characterized as a ‘love-hate’ relationship. The relationship is steadily transforming into state-to-state relations. This election provides a critical test for the relationship. While Bangladeshi political parties must show maturity in dealing with the big neighbor, Indian policy makers should be cognizant of the long term implications of their policies. Political instability in Bangladesh will not only jeopardize the future relationship but may reverse some progress. The actions of the Indian state – leading to, during and post-election – are critical for public perception and popular articulation of attitude towards India. The election also has implications for US-Bangladesh relations. The relationship has flourished in the past decade, as reflected in the two rounds of US-Bangladesh Partnership dialogue, two rounds of Bilateral Defense Dialogue and Military Planning Talks and Bangladesh’s agreement to sign TICFA. Bangladesh is a major partner in US global counter-terrorism efforts. A deal to that effect was signed in October this year. But both countries have some reservations about steps taken by the other state; the cancellation of the GSP by the US on the one hand while the Bangladesh government’s steps towards the Grameen Bank on the other have created some strains. With the increasing importance of Asia and the Indian Ocean in the global economy and politics, Bangladesh’s importance has grown. Bangladesh has a potential role in helping Myanmar’s slow transition to democracy and integration to the global economy. US strategic interests rely on a stable, prosperous and democratic Bangladesh. Absence of democracy or prolonged instability will not only be detrimental to economic interests but also destabilize regional dynamics. With imminent withdrawal from Afghanistan and unpredictable relations with Pakistan, the US cannot afford to lose a partner in South Asia. One of the key current issues of Bangladeshi politics is the International Crimes Tribunal (ICT) and its potential impact on the election. 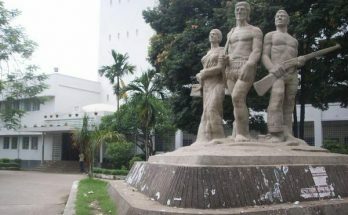 The tribunals were established in March 2010 to prosecute those accused of committing war crimes (including collaborating with Pakistan) during Bangladesh’s war of independence in 1971. The tribunal was established on the basis of the International Crimes (Tribunals) Act 1973 included in the Bangladesh constitution and as amended in 2009. Trying the war criminals was an election promise of the AL. Since the establishment of the ICT, the JI has alleged that it is politically motivated, and demanded that the tribunal be scrapped. The BNP, until early 2013, maintained an ambivalent position towards the trial saying that it supports trying war criminals but arguing that the current tribunal lacks transparency and the process is not consistent with international standards. The tribunal has also attracted criticisms from outside the country on procedural matters and allegedly not maintaining international standards. Despite some reservations about the trial process, opinion polls have shown that the majority of Bangladeshi citizens support the work of the ICT. The 2013 opinion poll by Prothom Alo revealed that 80% of people are supportive of the process. Thirty-nine percent of respondents to an opinion poll conducted for the Daily Star in late 2012, identified the trial as one of the key successes; in late 2011, respondents identified the trial of war criminals as the top success point of the government with a 29.7 percent rating. Since February 2013, eight current and/or former JI leaders and 2 BNP leaders have been sentenced to death or given long terms of imprisonment. Demand for the death sentence for some of the accused has engendered a grassroots movement on the one hand while the JI has unleashed violence after each verdict on the other. The BNP has shown either a muted reaction or maintained a dubious silence. The ruling party insists that a victory of the BNP (and the JI as a coalition partner) will be an end to the trial process; and that they will free the convicted. There hasn’t been any clear statement from the BNP in regard to the future of the tribunal. While the issue will remain present during the election, the likelihood of this being a determining factor is slim. Given the popular support and emotional attachment to the issue, apart from the JI, no party will be able to take a public stance against the tribunal. But in the event of an election participated in by all parties, the issue will be a focus of the ruling AL and its allies as their distinguishing feature. Whether it plays a role in election or not, the trial of those who perpetrated crimes against humanity in 1971 should continue. This was long overdue. Without dealing with this painful past and delivering justice, the nation won’t be able to move forward. At the time of writing the statement there are three possible scenarios in regard to the election. A routine election participated in by all parties. However, given the uncompromising positions of the ruling and opposition parties, it is an unlikely scenario. Accommodation of some of the demands of the opposition, for example a cabinet not headed by the incumbent PM during the election, may be a way out within the current constitutional proviso. An election boycotted by the opposition. This scenario is akin to February 1996, when the BNP unilaterally arranged a sham election. Despite apparent similarities between 1996 and 2013, the situation on the ground is different this time around; few allies of the ruling party will join the election. Besides, the issue of ICT was not present in 1996 or 2006. The legitimacy of such an election is an open question. Elections held without the participation of the opposition, in 1986 and 1988 under the military rule of General Ershad and in February 1996 under the Khaleda Zia regime, had neither produced a durable parliament nor brought political stability. Such elections have previously engendered violence; the intensity has grown since. In recent months hundreds of people have been killed, as on the one hand the opposition has resorted to violent tactics to create a climate of fear and the government has used excessive force to quell the opposition and resorted to the persecution of opposition leaders, on the other. The deferral of the election. It can be done either within the purview of the current constitution or through extra-constitutional steps to be ratified post-facto by the next parliament. Article 123 (3) (b) stipulates that the elections will be held within 90 days after the dissolution of the parliament. Therefore if the parliament is dissolved the window of time can be used to formulate a solution through mediation between the political parties. The third scenario, although it appears to be a suspension of democratic process, has a significant benefit and may provide an opportunity to scale down the current hostility between the government and the opposition. Three constitutional amendments – one created the system with loopholes (13th amendment), the other made it open to petty party interests (14th amendment) and the third abolished it altogether (15th Amendment); but none was ever placed before the citizens for their approval, no political parties ever included the issue in their electoral manifestos. Thus one way out could be a referendum on the issue of caretaker government during the extended period that the constitution will allow after the dissolution of parliament. A general election can follow based on the results of the referendum. This will give all parties a sense of victory and a way out of the current impasse. This will require post-facto legitimation through changes in the constitution; but perhaps there is no better use of the ‘doctrine of necessity’ than in this instance. What Can the United States and the International Community Do? While Bangladeshi political leaders must act responsibly to avoid a political meltdown and the impending chaos, the international community should not idly sit by. As I have discussed, the upcoming election and the present political crisis has implications beyond the borders of Bangladesh, therefore it is clearly in the interests of the international community to act. The exemplary progress made by the Bangladeshis has demonstrations effect all over the developing world. Reversal of these will stifle progress elsewhere. Continued instability may create spaces for non-state actors with regional agenda. The international community should act in unison so that it is not perceived to be an aggressive posture of a single country. The US should take a leading role in bringing the international community together in earnest to prevent further escalation of the volatile situation. 1 Instead of focusing on elections every five years as tension escalates, the US should emphasize on the quality of democracy. Concrete action steps should be laid out to be followed by the political parties. For adherence to each step the country should be rewarded with benefits that help the entire population or the most productive sectors of the country, for example restoring the GSP, easing tariff barriers for Bangladeshi products. 2 Building institutions for sustainable and quality democracy such as a strong Election Commission should be the key focus of the international community and commitment for long term engagements is necessary. 3 The United States should make clear statements in regard to the post-election tolerance, including safeguarding the weaker sections of society, e.g., religious minorities, and the results of fall-out. 4 Encourage all parties to agree on containing religious extremism. 5 The international community should neither franchise its responsibilities to regional powers, nor should the regional powers be excluded from this international effort. In particular India’s valid security concerns must be addressed. Institutional structures should be created to ensure that domestic political environment in Bangladesh does not threaten its neighbor or the regional security. The present political crisis in Bangladesh can be turned into an opportunity to build a stable democratic prosperous country. Economic and social achievements of recent decades show that the citizens are capable of taking steps in the right direction. It is time for the Bangladeshi political leaders to take the right decisions – to hold an inclusive election, agree on post-election tolerant behavior, rein in extremism, commit to address the issues of war crimes judiciously, and commit to regional peace, and it is time for the international community to help them in this regard. The caretaker system was first challenged in 1996 (Writ Petition No. 1729 of 1996) in the High Court Division. The High Court rejected the petition. In January 2000 a Supreme Court lawyer challenged the 13th amendment again in the High Court in a writ petition saying the change distorts the principle that the republic will be governed by an elected government. The High Court rejected the petition in 2004 (57 DLR 171). However, after the petitioner died, another Supreme Court lawyer filed an appeal in June 2005 against the High Court ruling in the Supreme Court. In 2011, the Supreme Court, heard the appeal beginning 1 March. For 10 days opinions and arguments from eight amici curiae, and the counsels for both sides of the appeal were heard before the verdict was reached. Next Article ইরানের সঙ্গে পারমাণবিক চুক্তিঃ নতুন ভূ-রাজনৈতিক বাস্তবতার ইঙ্গিত? Alhough he has decribed the historical backgrounds quite corectly,I cannot agree with his conslusions that USA should interfere! He also didnot discuss elaborately the rise of Islamic Fundamnetalism during the last BNP rule,or how an assassiation attempt was made on the life of the then Opposition leader and how the then BNP Jamat govt tried to cover that up! Its not true thatr BNP remained silent on Razakar trial issue. She openly supported them in statement calling those who wanted the trial as “Atheists”,and how she organised the Hefazati mayhem in April threatening to ovwrthrow an elected govt giving them 48 hr utlimatum!. His assesment skirted the scenario as to what kind of Bangladesh will emerge if BNP Jamat alliance comes to power! He sort of tried to paint a picture of US-Bangla relation as GSP Vs Prof Yunus thing! Which is not true! BD Govt has stake in Grameen Bank as its not a company rather a Fin Org created by the Ordinanace of BD Govt.How Prof Yunus used this Bank for his personal gains is matter for all to know! Whats the problem in that? If he has nothing to hide why Yunus opposed the investigation and why USA values an individual more than a country? As to the present situation if BNP particiapted in the All party Govt with portfolio of Home misnistry plus 10 more ministers in the govt,how come rigging is possible? in 1986 or 1996 no powerful electronic media was present but now there are 25-26 TV channels.Powerful pro BNP pro Yunus media like Daily Star or Prothom Alo will have exposed any rigging in favor of Govt.Also, this artcile didnt give explanation how BNP won all 5 Municipality election recently under AL govt? Isnt it self contardictory?